On Saturday, the No. 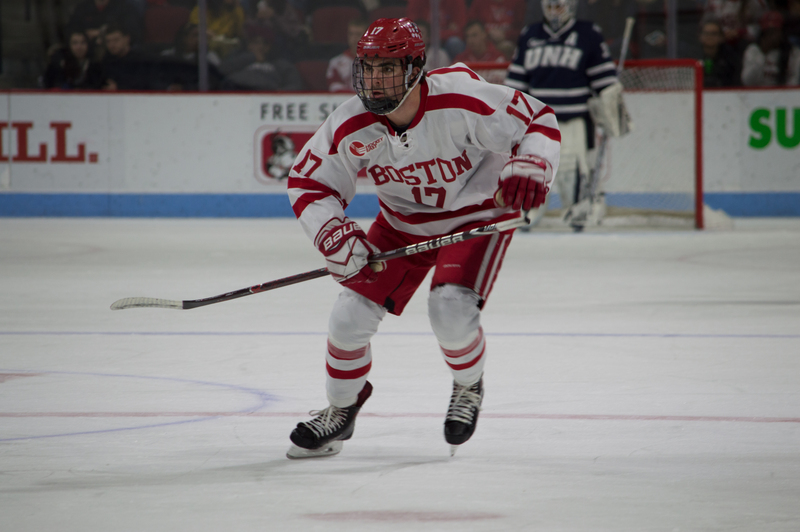 19 Boston University men’s hockey team played No. 7 Cornell University in the sixth installment of Red Hot Hockey, which takes place at Madison Square Garden. The Terriers found themselves in a 3-0 hole after the first 30 minutes of the game. 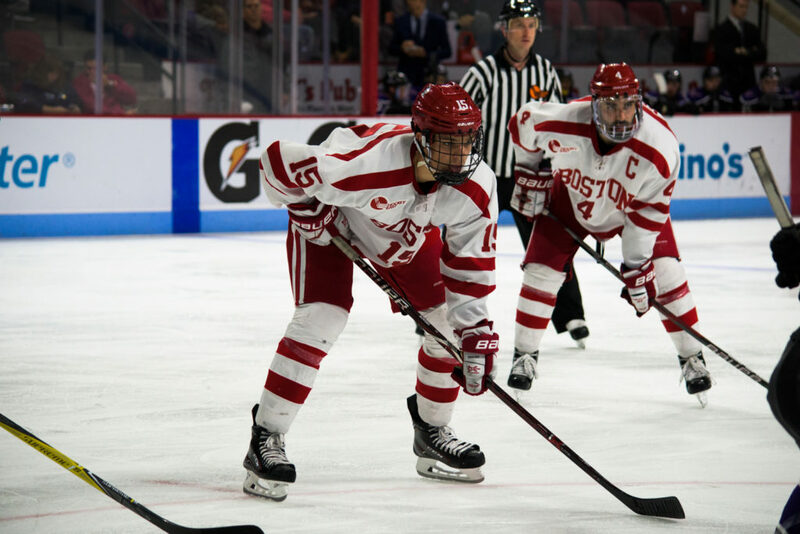 However, tallies from sophomore defensemen Dante Fabbro and Chad Krys, and sophomore forward Patrick Harper put BU within one goal. 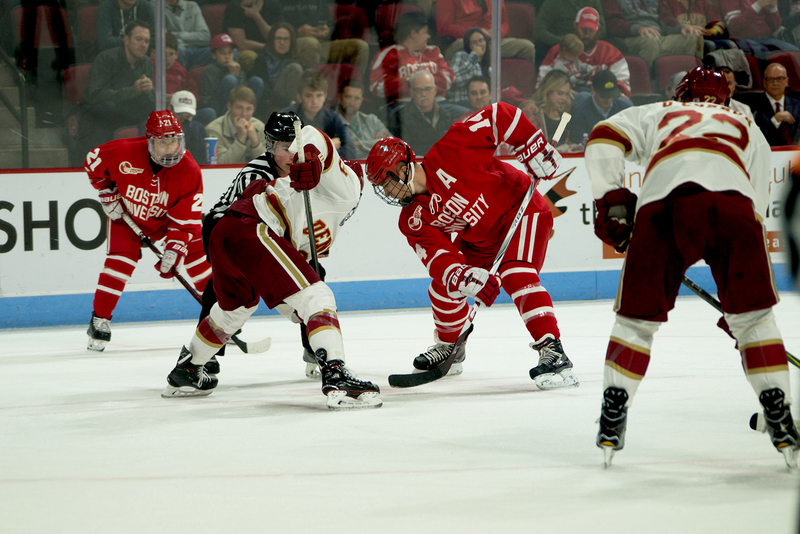 While the Big Red couldn’t seal the game with two empty-netter chances, the Terriers were unable to tie up the game and fell for the first time in the biennial Thanksgiving weekend matchup. 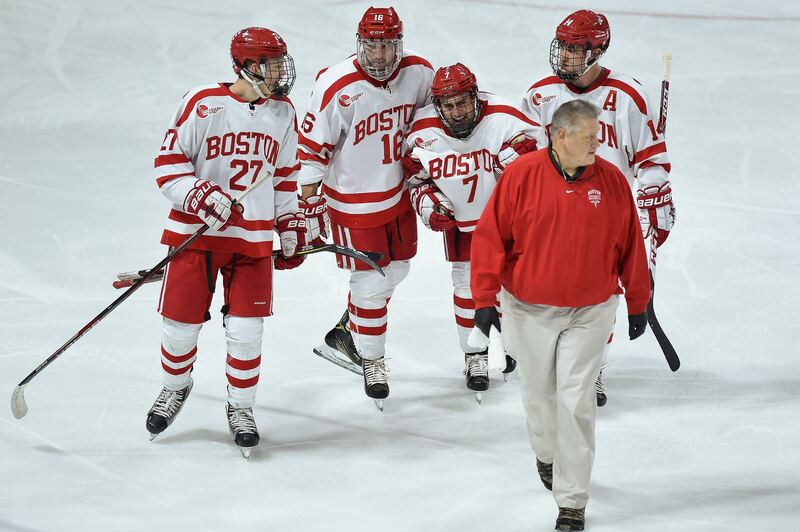 BU will resume Hockey East conference play this weekend with a series against its crosstown rival, No. 14 Boston College. The first game will take place at Conte Forum on Friday and then at Agganis Arena on Saturday. The No. 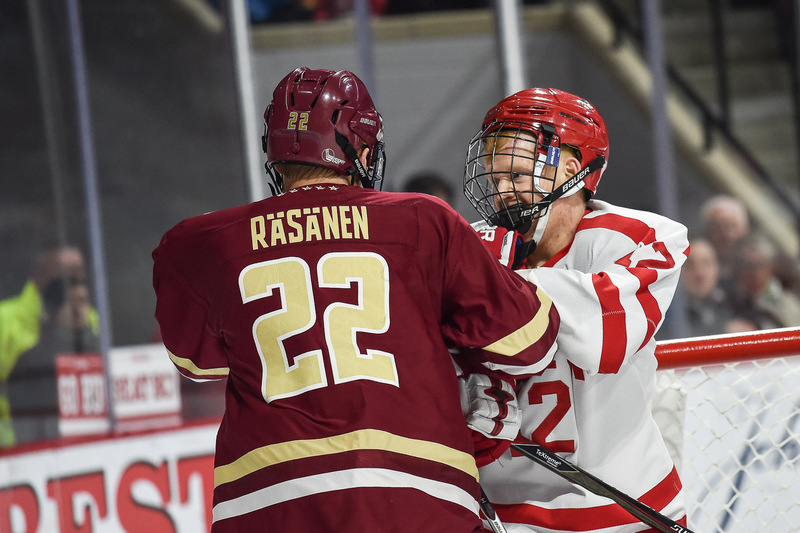 2 Boston University men’s hockey team was swept by the Minnesota State University this weekend at Agganis Arena. The Terriers’ former goaltender Connor LaCouvee, who played with BU for three seasons, returned to Boston, but in the opposing team’s net. While LaCouvee only allowed three goals in the Mavericks’ 6-3 victory, BU’s defense gave up 45 shots, and sophomore goaltender Jake Oettinger’s 39 saves and freshman forward Shane Bowers’ two-goal night could not mitigate the damages of the team’s poor play. On Saturday, the team responded better, but was unable to match Minnesota State’s physicality particularly around the puck battles and also could not convert on its four power play opportunities. The Mavericks sealed the two-game series with a 3-0 shutout. 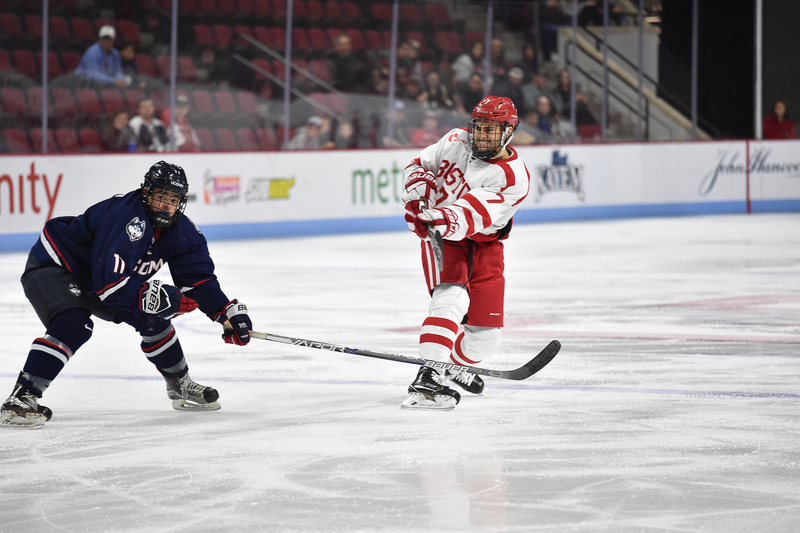 BU’s next matchup will be its Hockey East opener against University of Connecticut in a home-and-home series beginning with a game at Agganis on Friday night at 7:30. Also we’re sorry about all of the technical difficulties that occurred over the weekend in terms of posting the articles. The Daily Free Press’ WordPress went down right when we were going to post the articles. We’re unsure of what caused the website to crash, but apologize for any inconveniences and want to limit any issues like this in the future. The No. 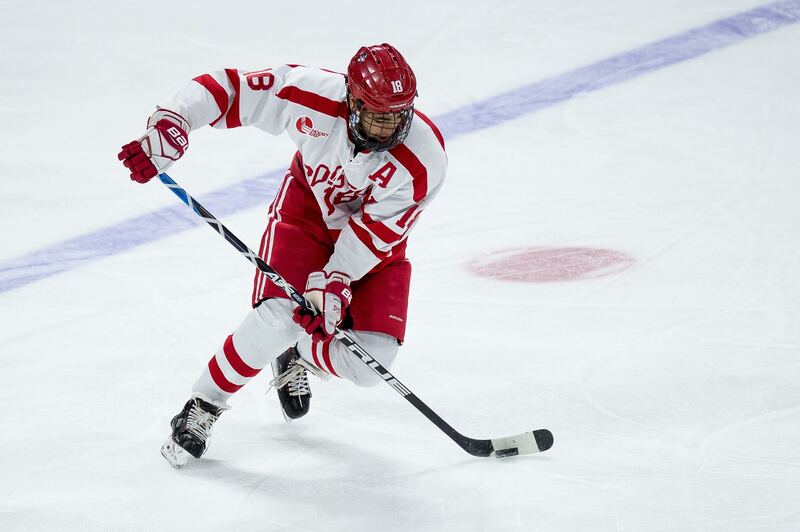 2 Boston University men’s hockey team beat No. 17 Quinnipiac University 3-2 during overtime in a physical and fast-paced game in Hamden, Connecticut on Sunday. 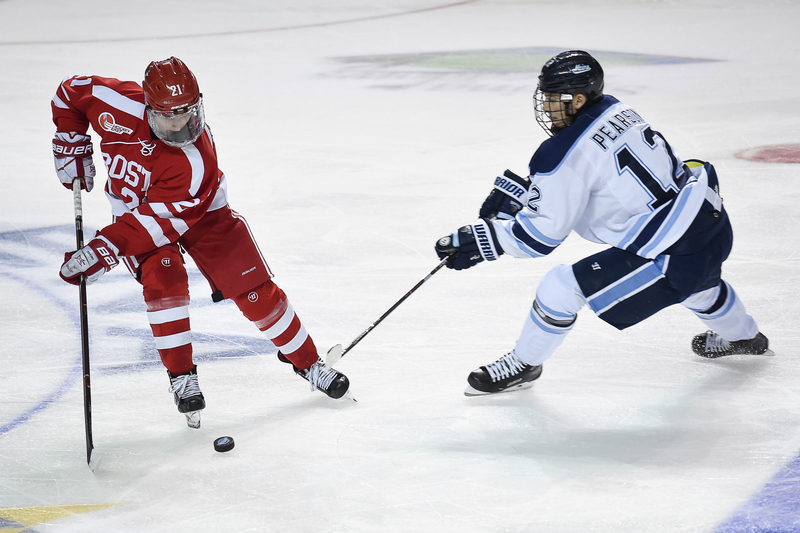 Freshman forward Shane Bowers got the overtime tally while sophomore forward Patrick Harper added two more goals to this season and was subsequently named Hockey East’s Player of the Week. We only have a recap this week, but will return this Friday and Saturday nights with a plethora of articles when the Terriers take on Minnesota State and former goaltender Connor LaCouvee will make his way back to Agganis Arena for a few days. Also a side note: there were some technical difficulties with WordPress at Quinnipiac in terms of linking up the live blog and Nikki’s computer wasn’t cooperating. We’re sorry for any inconveniences caused and will be prepared in the future for road games, but everything is working now and please tune into the live blog this weekend!